The UK is responsible for more chocolate consumption than almost anywhere else on Earth. Studies show the average Brit gets through more than a whopping 8kg of just chocolate per year! To illustrate, this would be the equivalent weight of a very large real bunny rabbit. It is that exquisite time of the year again, chocoholics you know exactly where I am going with this! So with Easter only moments away, it is definitely time to start thinking about those eggy gifts for your loved ones. Luckily, we have taken the strain out of decision making and handpicked the ultimate guilt free easter treats just for you. In order to fully understand the need for a plastic free Easter, you must take the following into account. The UK is responsible for more chocolate consumption than almost anywhere else on Earth. Studies show the average Brit gets through more than a whopping 8kg of just chocolate per year! To illustrate, this would be the equivalent weight of a very large real bunny rabbit. A while ago the government’s waste advisory body concluded that the eighty million chocolate eggs we buy each year come fully loaded with around three thousand tonnes of packaging. A significant amount of this being plastic waste. What if we told you that you can remove plastic out of the equation altogether. Enjoy the chocolatey eggs we all know and love without the worry at the back of your mind. Discover Plastic Free Easter. These eco eggs come in 100% eco-friendly packaging, comprised of a sturdy biodegradable paper outer shell/sleeve and a foil wrapping. There is a variety of delicious flavours, including organic dark chocolate with cocoa nibs. 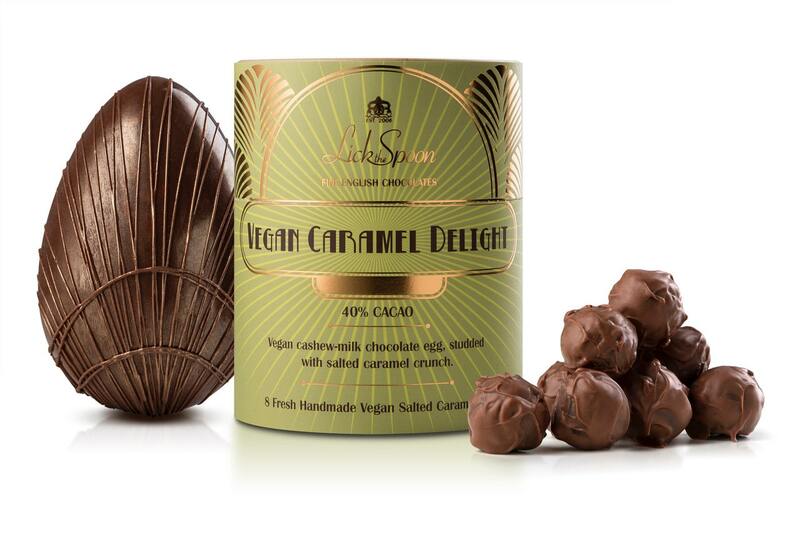 This plastic free Easter egg comes 70% dark chocolate, filled to the brim with truffles, pralines and caramels chosen to showcase the cocoa. Ideal for vegans and dairy free, chocolate lovers. This delicious treat comes entirely plastic free. Made with Cashew-Milk chocolate, the egg falls under the Raisetrade initiative on the island of Madagascar. The best Vegan Chocolate married with the best Vegan Salted Caramel ever made! Goupie’s vegan salted sticky toffee egg is drool-worthy and best of all Vegan friendly! 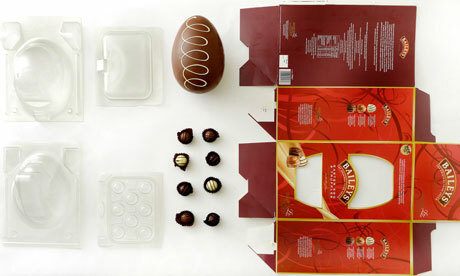 Cut into smaller pieces, covered in even more chocolate and packaged in a reusable, Faberge-inspired, tin egg and quirky Kraft box. Perfect for those looking for something a bit different this Easter! This Booja-Booja vegan chocolate egg with champagne truffles immediately caught our eye. Delicious and certified organic by the Soil Association, the egg comes encased in a beautiful, hand-painted box, which both supports Kashmiri artisans and is better for the environment than single-use disposable plastic packaging. The Cheeky Panda is showing appreciation and love to all this Easter by offering the chance to win a luxury Hotel Chocolat egg along with some plastic free goodies. Try your luck here! Find out more about plastic free bamboo tissue products, subscribe and save for a seamless experience.